Seventeen immigration officers from Dar Es Salaam, Moshi, Tabora, Tanga and Zanzibar, were trained on essentials of project development and specifically, project design, proposal writing and fund-raising. The training is part of activities under the “Enhancing Migration Management in African states through Capacity Building on Integrated Border Management and Countering Irregular Migration” project funded by the government of the Kingdom of Netherlands. It is in line with the Tanzanian Government’s plan to expand training services to other institutions in the country. “IOM is determined to support the government in managing its borders and in combatting human smuggling and trafficking through the provision of technical support to immigration and other law enforcement officers” said Qasim Sufi, the IOM Chief of Mission in Tanzania. While TRITA in Moshi maintains its central role as the regional training institution on migration issues, the two newly established colleges for training of national officers in the capital and coastal cities of Dodoma and Tanga, respectively will boost Tanzania’s capacity to expand the knowledge and skills of its national officers in combatting transnational organized crime, human smuggling and trafficking as well as on maritime search and rescue services. 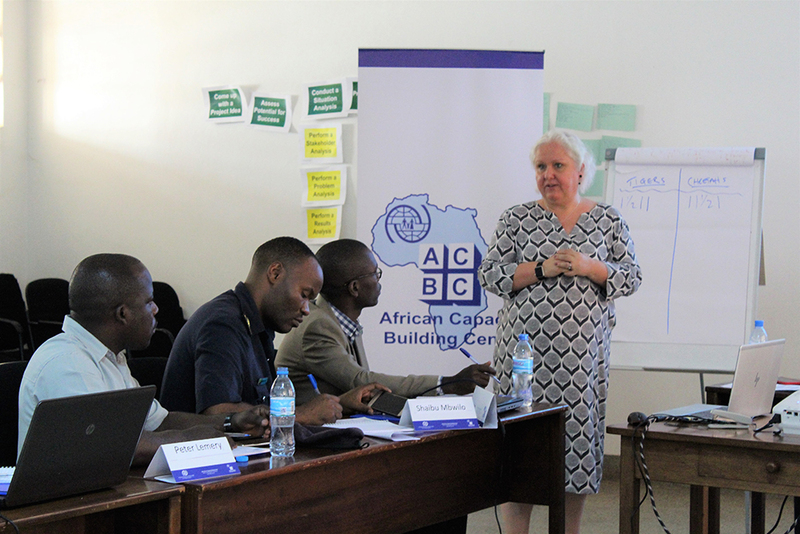 Julia Hill-Mlati, Project Development Officer, IOM Regional Office for East and Horn of Africa take participants through a session during the training on essentials of project development.